With the many advances in dental techniques and the development of new materials dental patients can now achieve almost flawless smiles…SMILE ENHANCEMENT. No longer do dental patients have to settle for misaligned yellow discolored teeth. With the new generation of bleaching gels and porcelain ceramics straighter whiter teeth are achievable in relatively short periods of time. Bleaching gels are placed in special custom fabricated trays to suspend the gel on the desired areas of the teeth to be lightened. The process can be completed at the leisure of the patient, either during the day or at night while they are asleep. The good news is this process can take as little as 10-14 days to complete. The average person will achieve 2-3 shades lighter in color, a significant degree of noticeability. 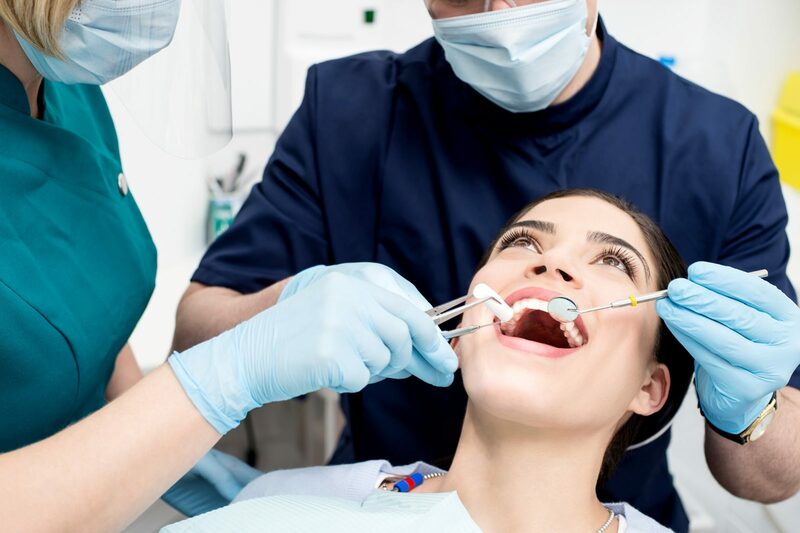 For teeth that do not respond favorable to the current bleaching gels as a result of tetracycline staining or old composite and silver fillings porcelain veneers can always be applied to the surface of the teeth. Porcelain veneers can instantly change the color of ones teeth to any desired shade as well as create a beautiful straight smile. In addition to lightening your teeth and sending you down Hollywood Blvd… old crowns with black lines can now be removed and replaced with durable porcelain ceramics. In fact these ceramics can also be used to replace additional silver fillings in your back teeth that are clearly visible when you are speaking and not to mention the unsightly yawn.